The hotly-anticipated Asus MG279Q lands with UK retailers this week, and the company's newest gaming monitor has already turned some heads. 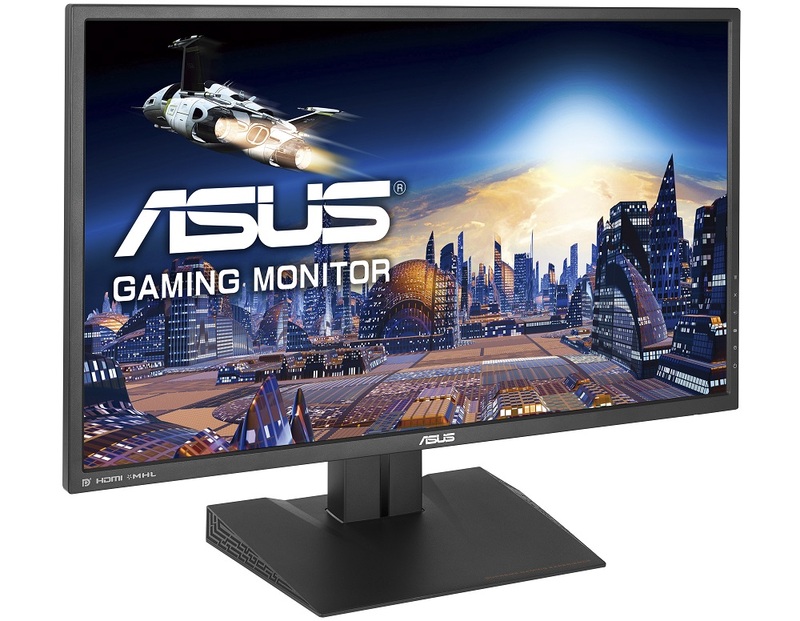 The use of an 27in IPS panel capable of 144Hz at a 2,560x1,440 resolution is something the market hasn't seen before and is a welcome addition to the gaming monitor space. In the past gamers requiring 144Hz at QHD would have had to sacrifice image quality for a TN-based solution, like the Acer XG270HU, but now gamers can get the benefits of TN-like smoothness and IPS image quality. The Asus MG279Q isn't just a 144Hz, QHD and IPS gaming monitor, mind, as the inclusion of AMD FreeSync support further sweetens the deal. There has been some confusion about the specifics of the FreeSync implementation, but in short the MG279Q will only support FreeSync between 35Hz and 90Hz - FreeSync cannot be enabled with a refresh rate higher than 90Hz. The reason for the limited FreeSync range is a technical limitation, but with its latest firmware, Asus cannot get the panel to function properly with a wider range of FreeSync. That said, the issue is of limited relevance to most gamers since pushing a framerate higher than 90fps at QHD is a tough task, especially as FreeSync doesn't currently support AMD CrossFireX technology. 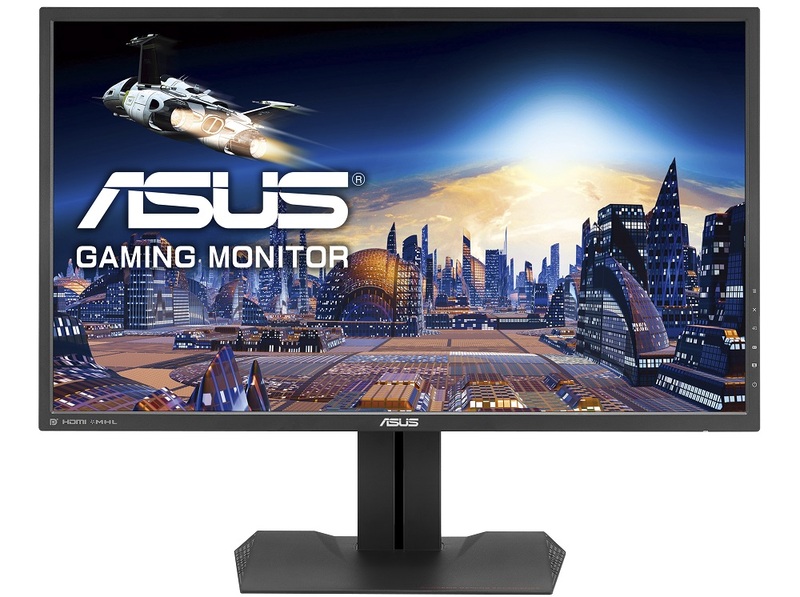 35-90Hz is a carefully considered trade-off which Asus feels has an edge over rival products. The lower range of 35Hz is better than most current solutions which start between 40Hz and 48Hz while the upper bound of 90Hz is enough to get an experience significantly smoother than 60Hz, even if not as high as what some other TN panels can deliver. Importantly, the user gets to have a fairly robust FreeSync range while maintaining the benefits of a high-quality IPS panel that has 100 per cent sRGB coverage, 178-degree viewing angles and a 4ms response time. 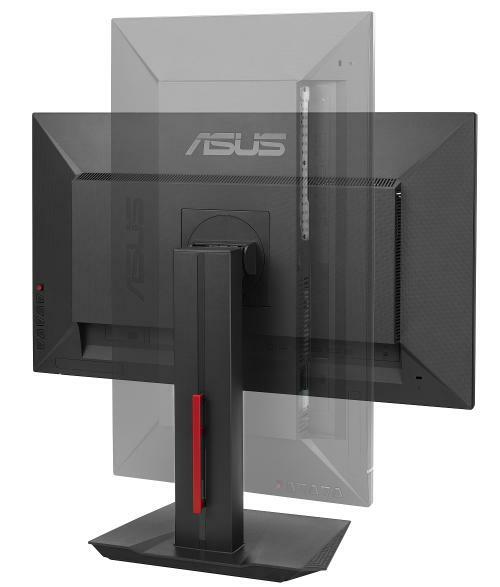 Perhaps the only problem on the horizon for Asus is that the FreeSync limitation needs to be communicated more effectively, not relegated to small print, so consumers are aware they are not getting a FreeSync monitor that will work at 144Hz. Yet the MG279Q isn't just for FreeSync users, because an IPS and QHD resolution panel with a 144Hz refresh rate for around £500 is a reasonable proposition for any gamer who may have no interest in frame-synchronisation technologies, be they from AMD or Nvidia. For reference, there is a G-Sync equivalent of this same panel, which is made by AU Optronics, and it retails for around £680... but has G-Sync support from 30 to 144Hz. The MG279Q uses a distinct styling that communicates clearly the monitor's target audience of gamers. The stand is aggressively styled with sharp, cutting lines and texturing similar to the Mayan pattern used with the company's newest ROG gaming peripherals. There is a fairly large plastic bezel but implementing a sleek, bezel-free design requires more expensive production processes that wouldn't allow Asus to hit the competitive price point it currently does. One thing Asus never fails to deliver on is a premium stand and we see that again with the MG279Q - at a fundamental level the stand is similar to the Asus PB279Q we reviewed last year. This translates into full pivot, tilt and height adjustment options giving maximum flexibility for a range of mounting positions and use-case scenarios. If that wasn't enough, the monitor also allows the stand to be easily detached so the user can fit a VESA-compatible mount of their choice in the 100mm x 100mm form factor. Connectivity is generously equipped with dual HDMI/MHL 1.4 ports, DisplayPort 1.2, mini-DisplayPort 1.2, an audio jack and a USB 3.0 hub. FreeSync users will need to make use of a DisplayPort connection to get compatibility while the 144Hz refresh rate also needs DisplayPort due to the higher bandwidth requirements.